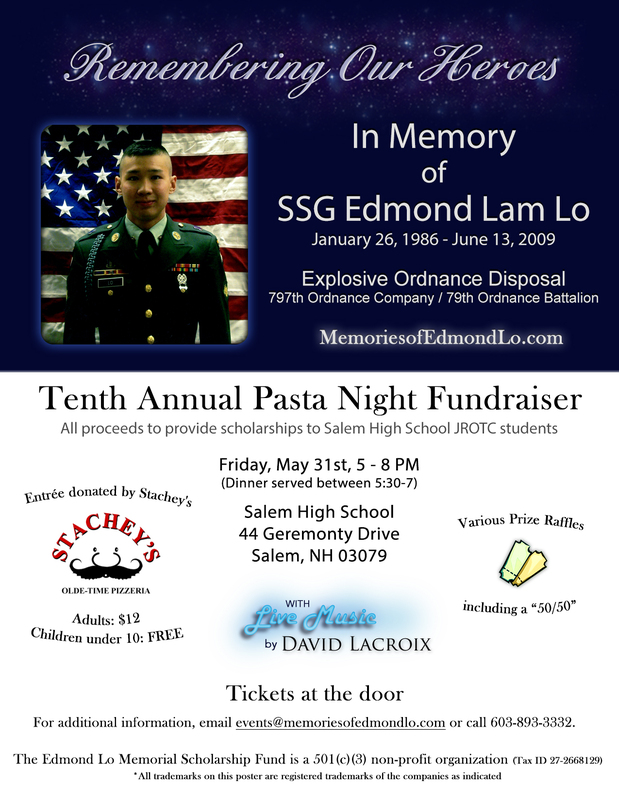 This year we will be holding our Tenth Annual Pasta Dinner Fundraiser in honor of Edmond on Friday, May 31st from 5pm-8pm. Dinner will be served from 5:30-7. Stachey’s Pizzeria has generously offered to donate the food again this year for the event. The Raffle winner drawings start at 7. There are many great prizes available in this year’s raffle provided by local businesses in the community. Join us for dinner, raffles and live music by David Lacroix. We look forward to seeing you at the event this year!